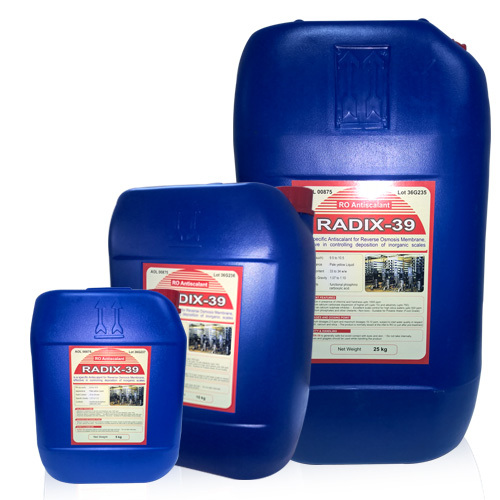 RADIX 39 is a high performance antiscalant for Reverse Osmosis Membranes, effective in controlling deposition of inorganic scales. It is a liquid antiscalant formulated to inhibit scales and disperse colloidal particles in cellulose acetate and thin-film membrane separation systems. Acuro offers superior quality antiscalant for RO Systems, used over a wide range of applications.